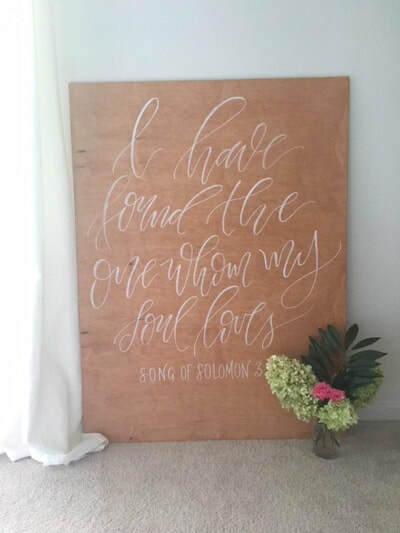 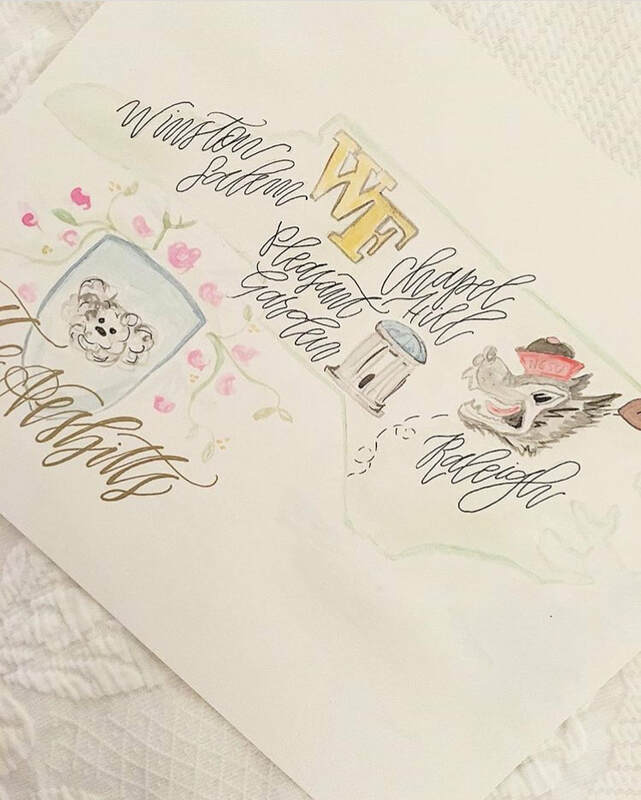 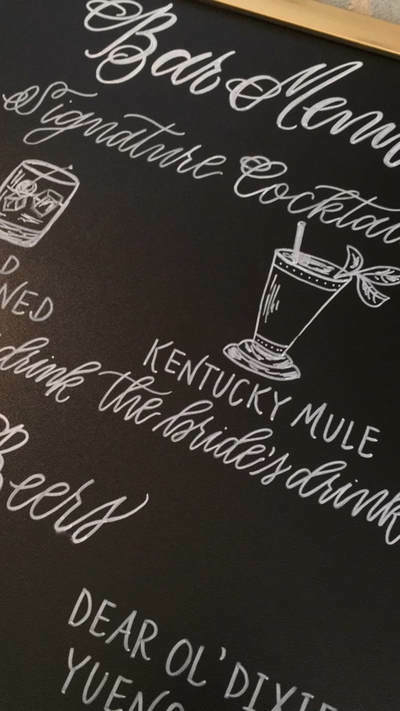 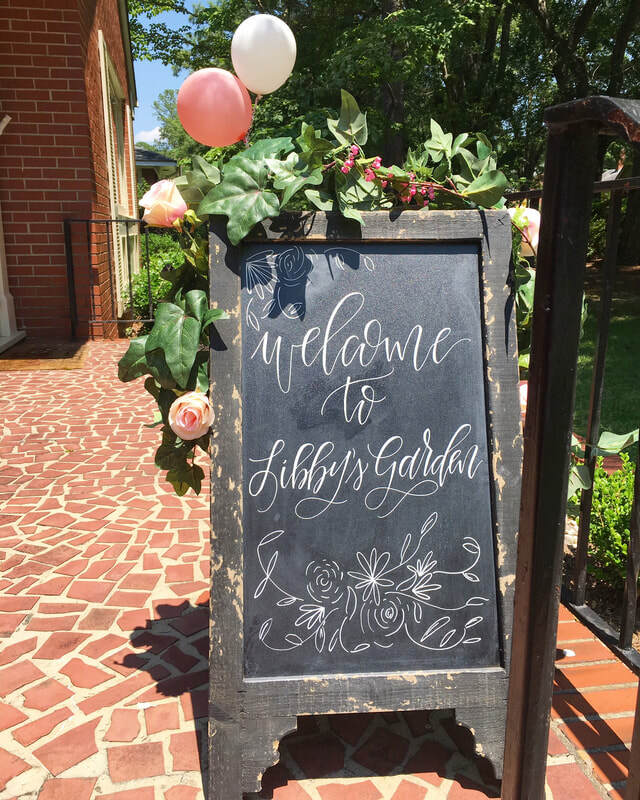 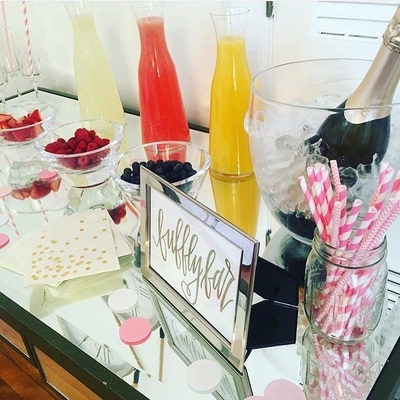 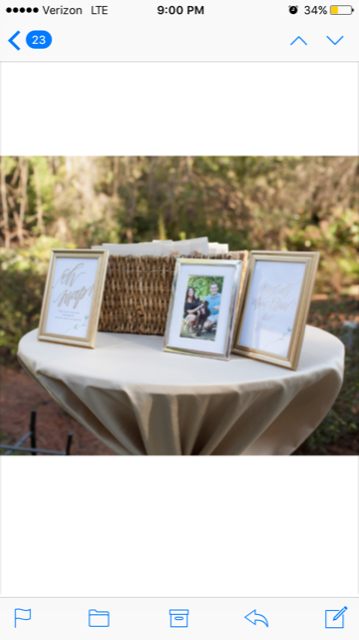 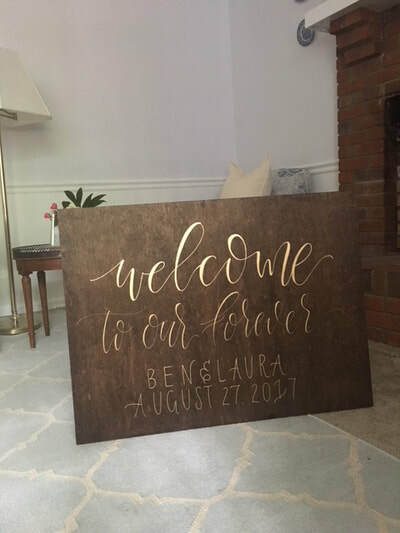 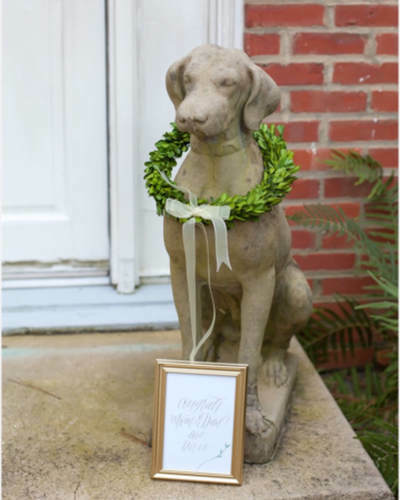 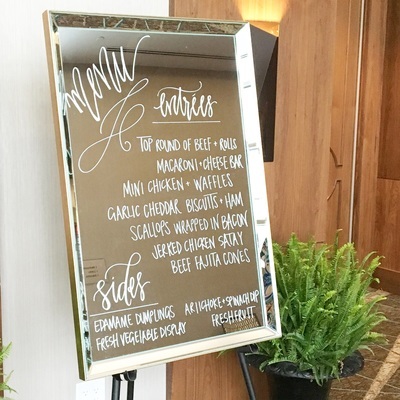 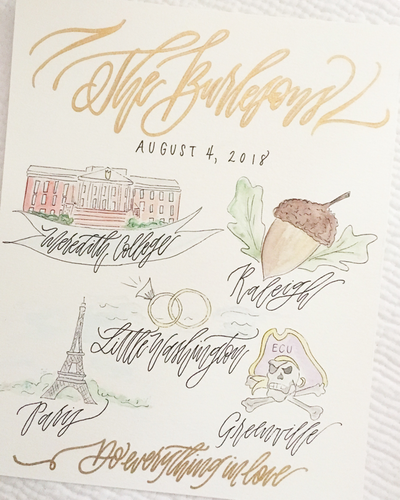 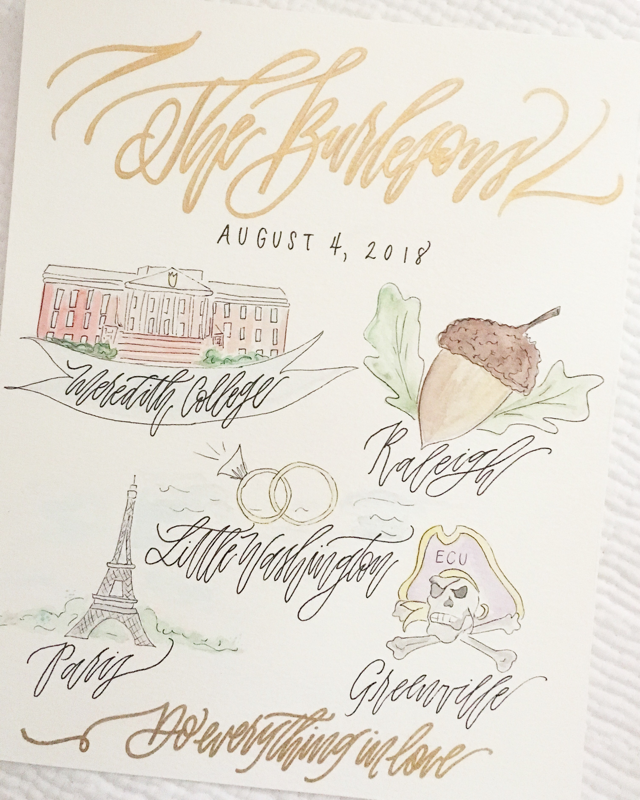 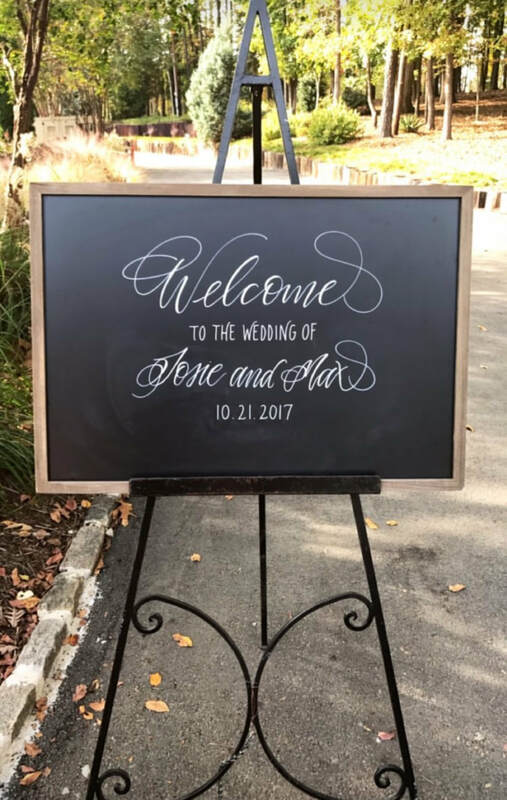 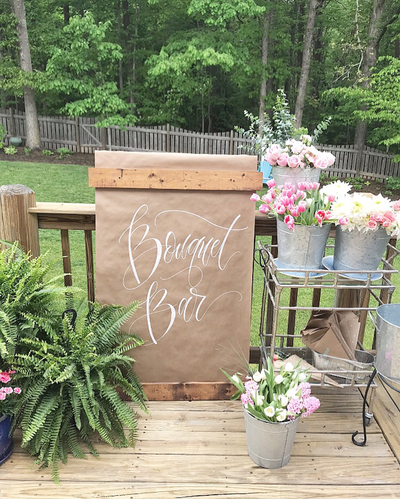 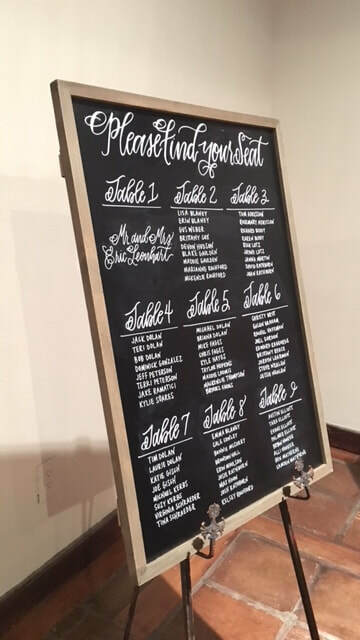 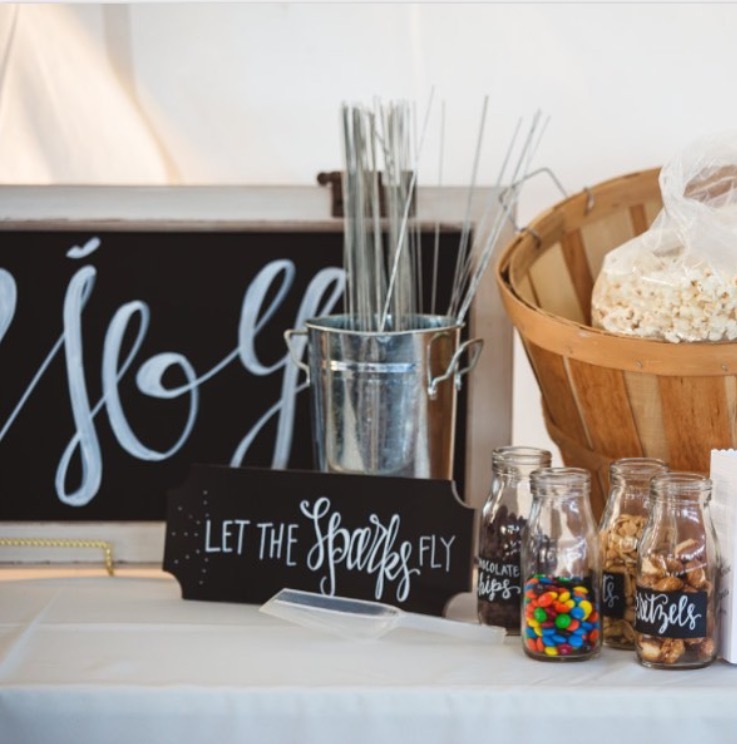 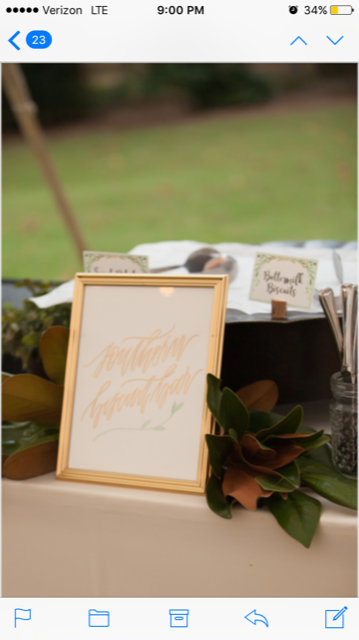 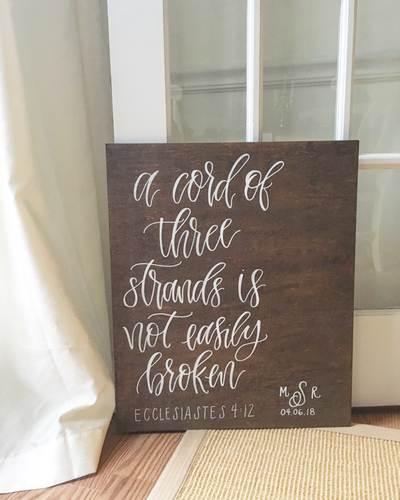 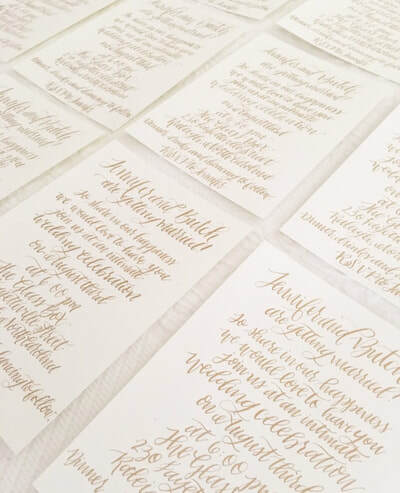 ﻿Interested in envelope calligraphy or custom signage for a par​tay or wedding? Shoot me an email, and we'll work together to see what best fits your needs! ​You can check out some of my past work below. Formal, once-in-a-lifetime occasions call for hand-written, flourished envelopes. 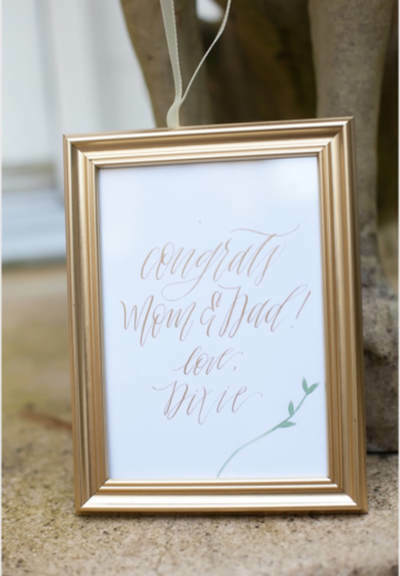 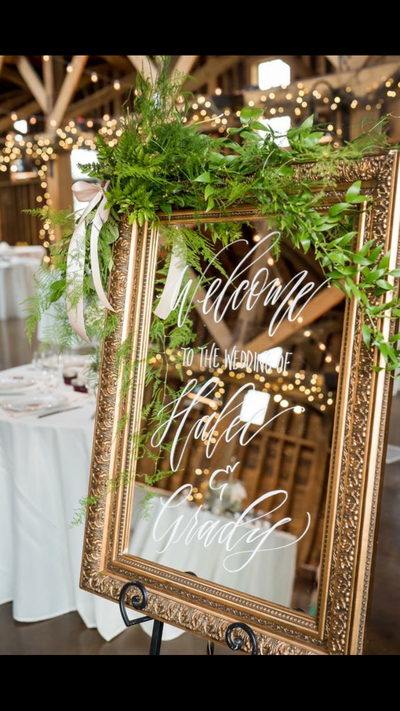 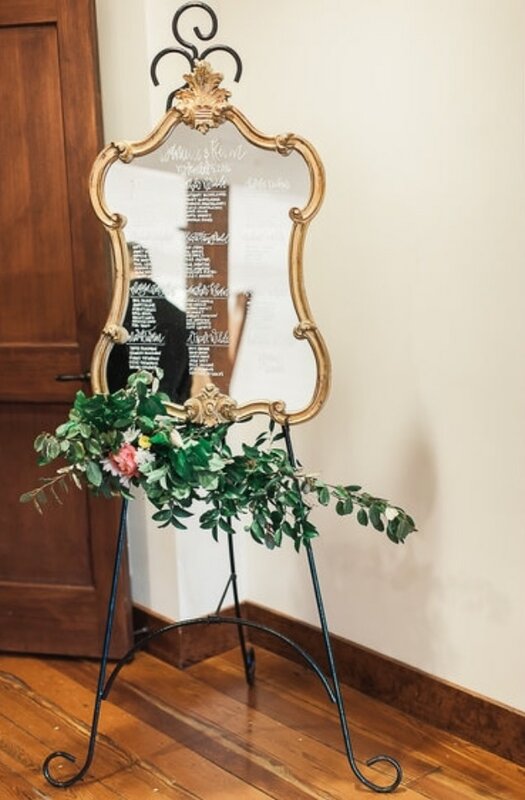 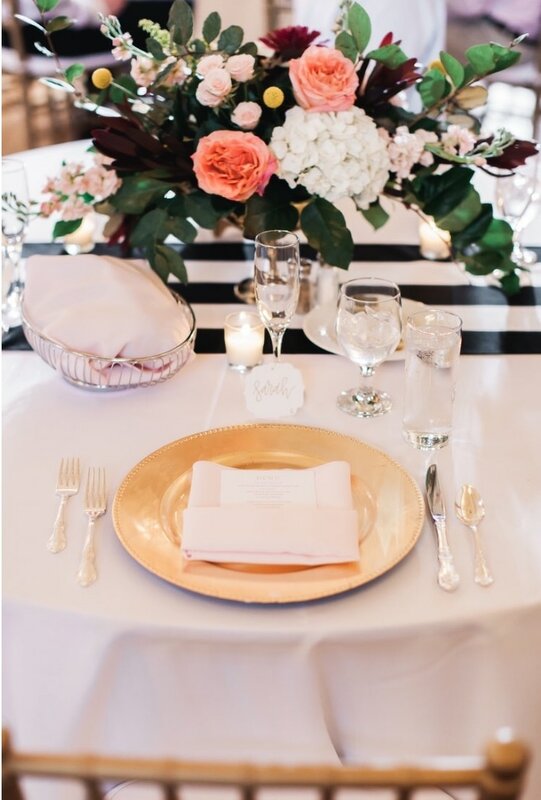 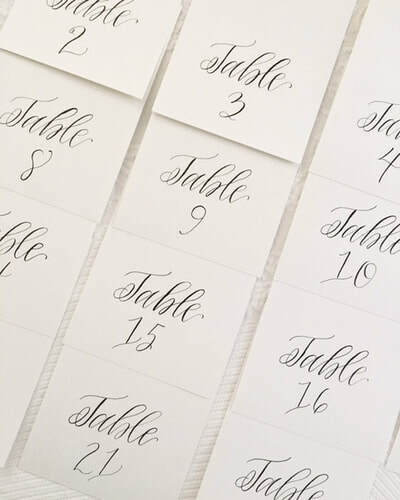 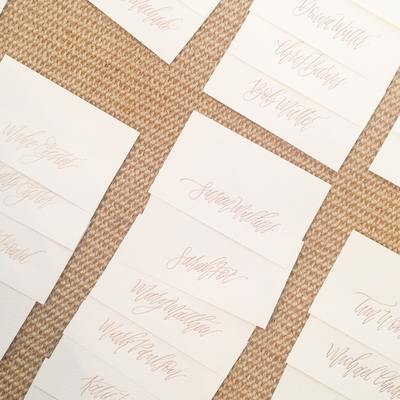 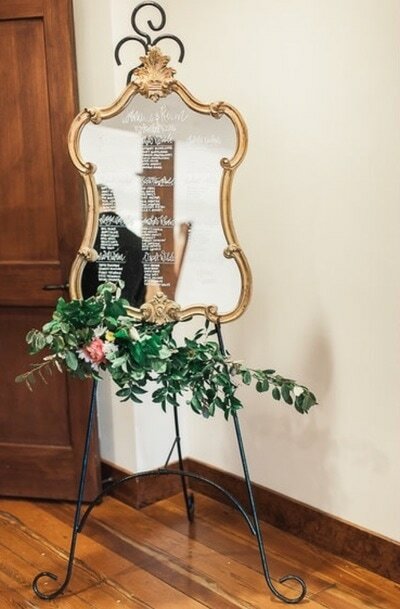 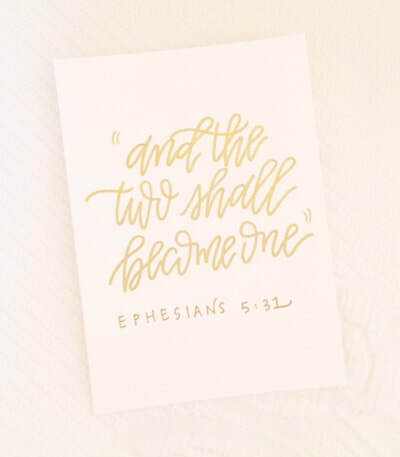 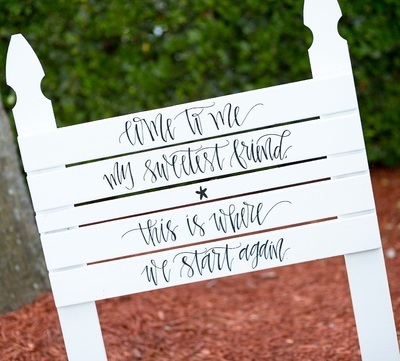 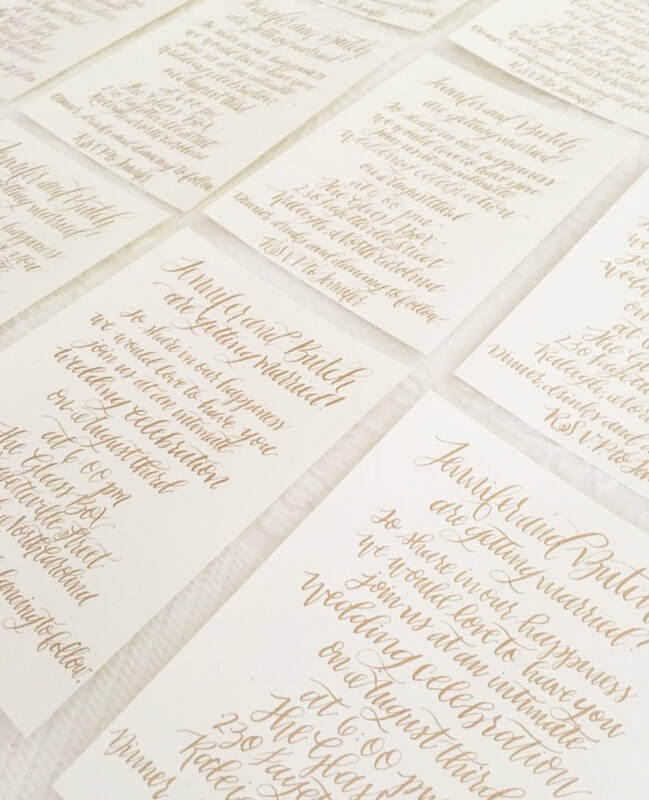 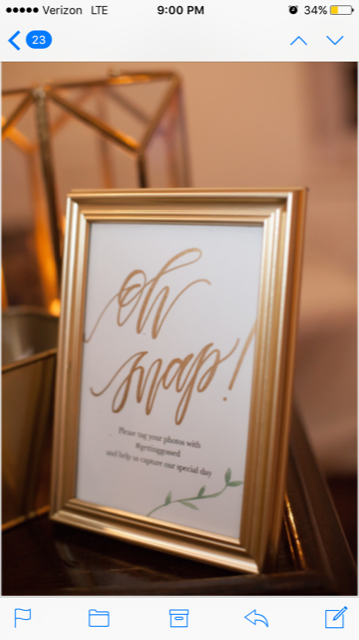 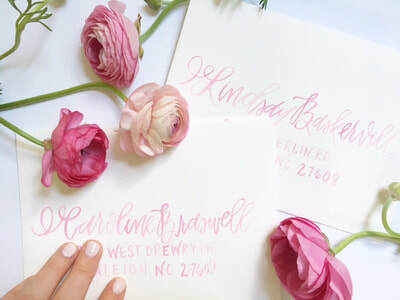 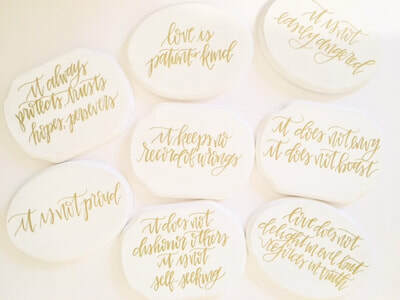 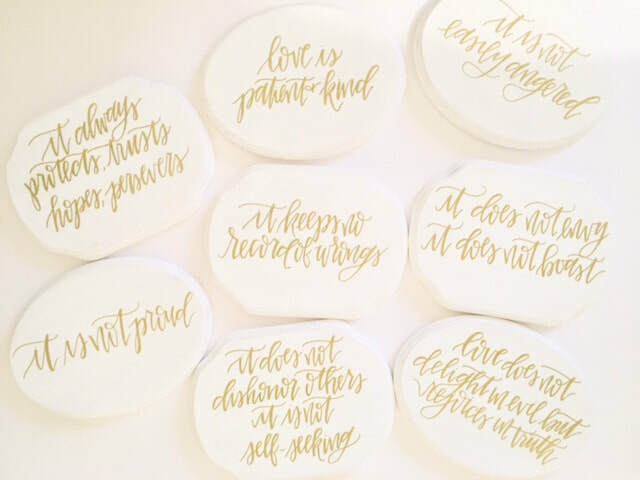 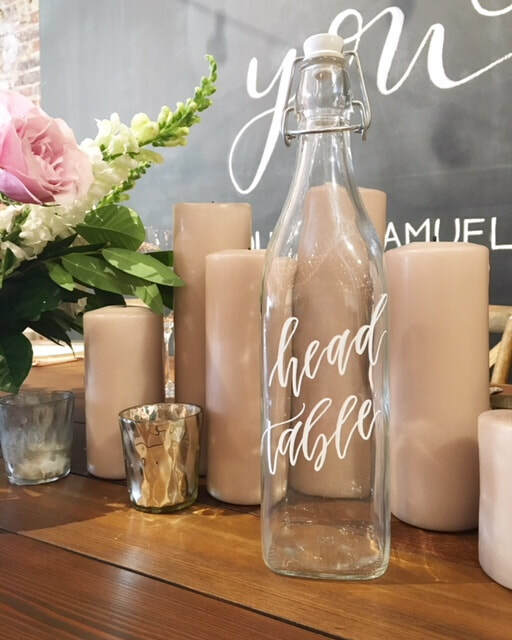 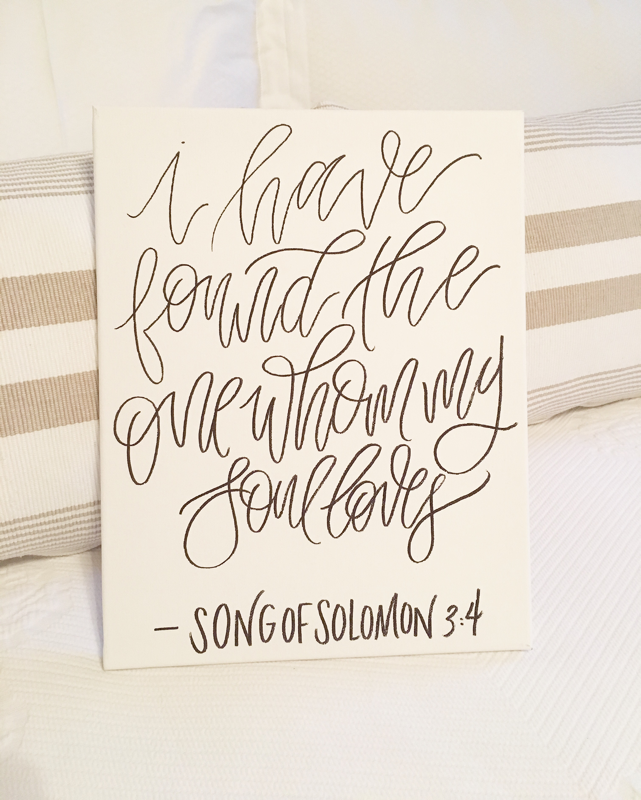 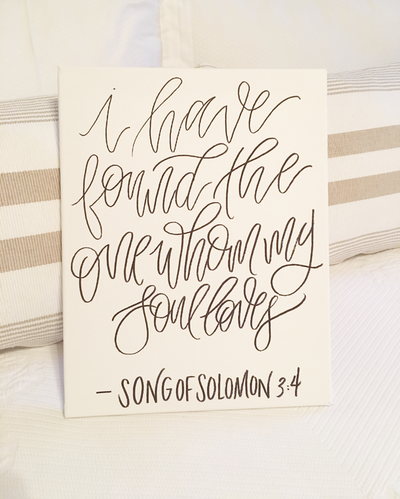 Your wedding envelopes are the first thing your guests will receive regarding your big day, so set the tone well by making your guests feel extra special with calligraphy. Please note that chalkboards, wood pallets, and such do not ship well, so I am currently only offering local pick up only for those items. 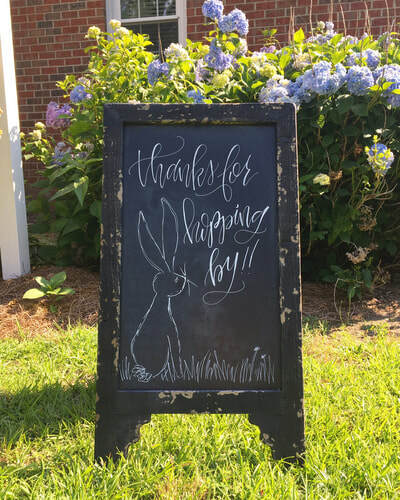 Thanks a bunch for understanding.